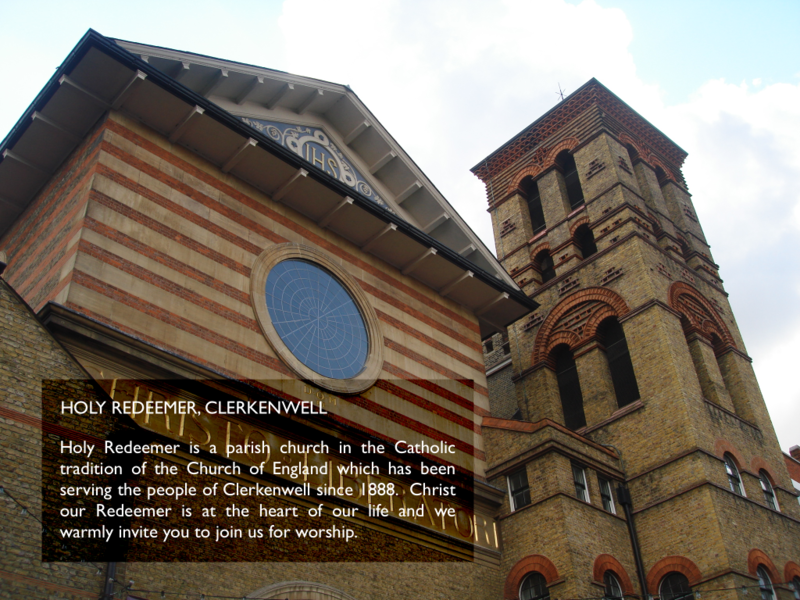 Holy Redeemer is loc­ated on Exmouth Mar­ket, and is a short walk from both Far­ring­don and Angel under­ground stations. 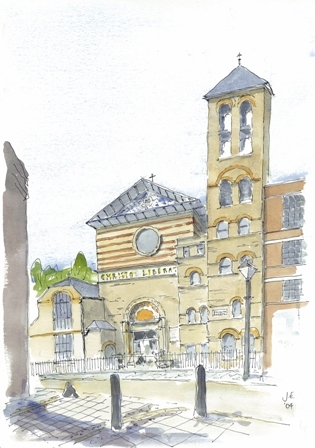 The Church is open from Tues­day to Sunday. We are com­mit­ted to Safe­guard­ing Chil­dren, Young People, Victims/perpetrators of Domestic Abuse and Vul­ner­able Adults. The PCC has adop­ted the Church of England’s policies and best prac­tice on safe­guard­ing which may be found on the Church of England’s web­site. https://www.churchofengland.org/more/safeguarding. Our Par­ish Safe­guard­ing Officer is Mary Rob­son, who may be con­tac­ted at church or by email maryrobson[at]live.co.uk.